The closest points are correctly calculated. As you can see, the closet point on the square's closest point should have been the lower right corner and not the upper left corner, and the L-shape's closet point should have been the upper right corner and not the center. I have been trying to debug the code for days now, so a fresh pair of eyes might be helpful. If I did something wrong, please explain why; I really want to understand how this all works! Out of curiosity, I downloaded the source code and converted it from C++ to C#, so besides minor syntax changes it was exactly the same. To my surprise the bug was happening with it as well. Does this algorithm not work on concave polygons? I just noticed it does not work 100% of the time with the square and the triangle, so the bug is not limited to concave polygons. There was a bug with my square initialization, forgot to set the point count to 4 so it only ever took the first point. Now that it can properly iterate through the points it no longer is an issue. 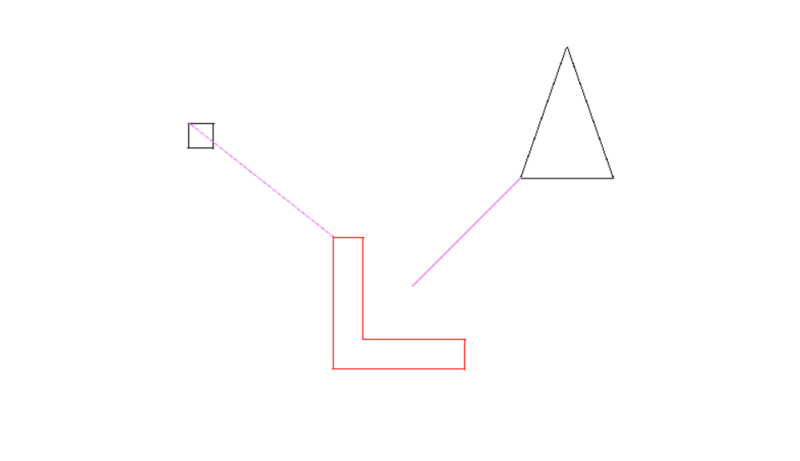 The L-shape still has a problem. 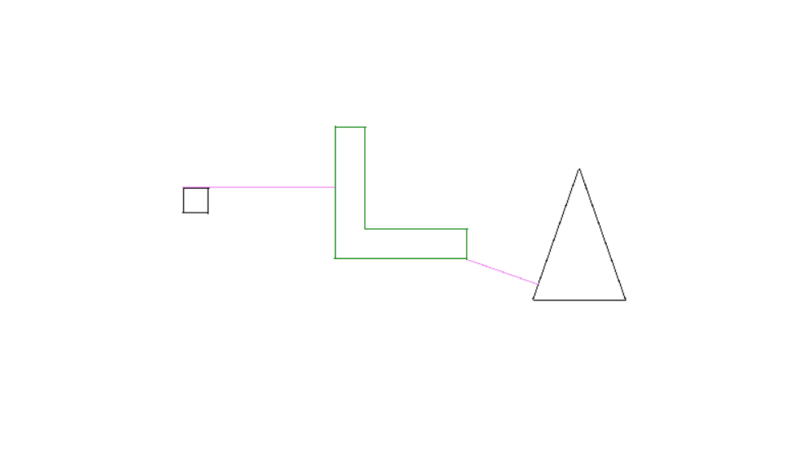 After researching the algorithm a bit more, the Minkowski difference creates a convex hull, and therefore will not work on concave shapes like the L. Looking at the image now it should have been obvious because the purple line ends right where the convex hull would be. With all that being said, is there a different algorithm that I can use or will I just have to iterate over each edge and find the closest points that way? Browse other questions tagged 2d collision-detection geometry linear-algebra or ask your own question. What is a good way to determine if a vector is between two other vectors in 2D? Can GJK be used with the same “direction finding method” every time?